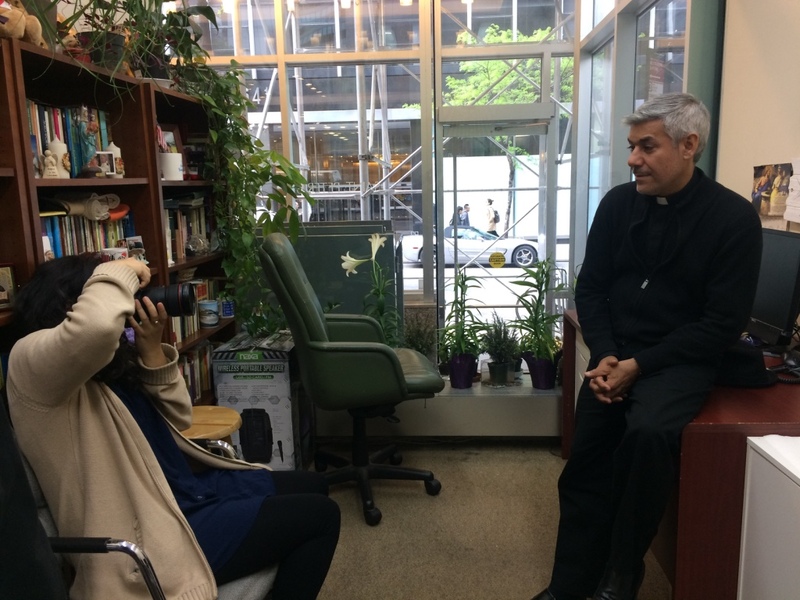 Breaking the Story of Father Fabián – Jesenia De Moya C.
Fabián Arias is well known in New York City, for being outspoken on immigrant rights. A media friendly person, recognized for his public service and community engagement with the undocumented. He is one of the central characters, when it comes to protecting local immigrants from law enforcement agents. But, some of his social work turn out to be a public secret. 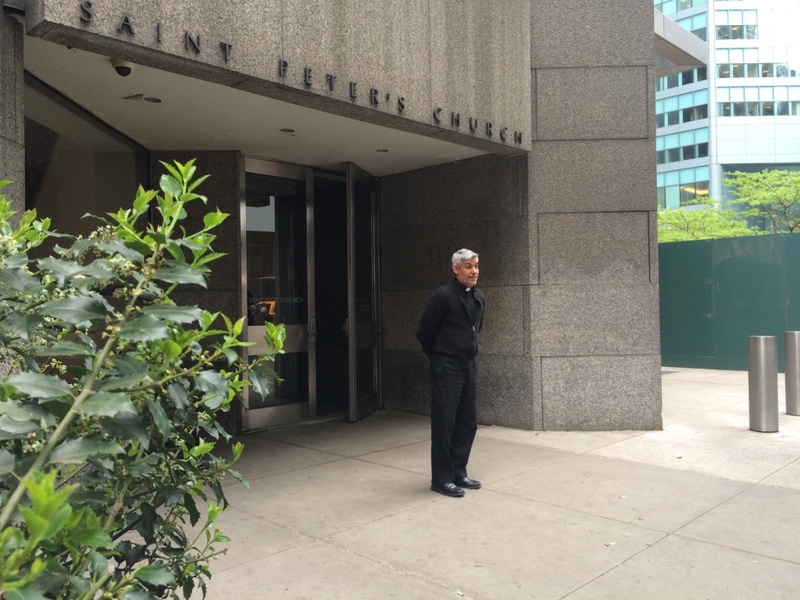 Besides being the leading pastor for St. Peter’s Church‘s Hispanic congregation in Manhattan, a former executive director for the New Sanctuary Movement, and a very close friend of Pope Francis, Arias is the legal guardian of, at least, 25 young women and men that could have faced deportation, if it weren’t for him. This is the story that media people didn’t know about Father Fabián Arias. The one my colleagues Lidia Hernández Tapia, Estefanía Hernández and I reported on between February and May of this year, as an assignment for our Advanced Reporting class at the CUNYJ School. And, the one that gave us a nomination to the 2017 EPPY Awards. Father Fabián poses for Lidia Hernández Tapia in his cozy office at St. Peter’s Church. We learned much about the relationship between Latinos, religion and immigration policy, about the political role these clergymen -and women- take to protect their parishioners and family, and about how Hispanics deal with enforcing immigrants to the law, while working for federal agencies. We published the piece in Spanish with CityLab Latino and in English with CityLab. Editor’s Note: This post was last updated on Oct. 6, 2017, to include the list of most recent media publication on Father Fabián’s stand for undocumented juveniles in NYC.